Your Playful Pets is a site designed to focus in on making both your pet and your life better. 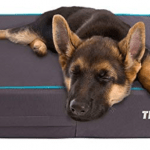 Whether it be training your dog or finding the best bed for them, we have you covered. This is a place where we don’t judge if you sneak popcorn to your rottweiler or let your 150 lb dog sleep in bed with you. 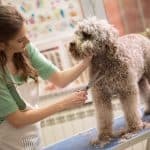 We recognize that your love for your pet can sometimes get in the way of training them properly. We are here to help! There’s something here for everyone and every pet. Your cat’s favorite toy is just around the corner and teaching your dog to respect you is but a click away. As a lover of all animals we have 1 dog and 2 cats. 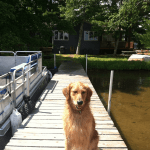 Jake our Golden Retriever is 7 years old. We often find ourselves going on adventures to the beach and different parks in our local area. We both love the beach. Heck, it’s Jake’s favorite place to go as an avid swimmer. 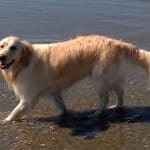 However, he often gets carried away and swims out over the white-water breakers 5 to 6 feet high sometimes to retrieve his stick. I love to spoil him and have often been disappointed by the lack resources dedicated to making my dog and other dogs life more comfortable when sleeping and during the day while napping outside while we are at work. Your Playful Pets was created as a place for pet lovers to find solutions to make their dogs life happier and healthier. When you are out, you can still give them that sense of security napping in their favorite bed. Whether you have dogs, cats, or any other pets, you probably don’t like your pets on your bed or sofa, except your cat. I know there is an exception to the rule out there. There’s probably a Bernese Mountain dog enjoying his afternoon snooze on a leather sofa as I speak. I’ve also been disappointed in the lack of quality gear for my animals. There doesn’t need to be the endless hours of research just to find a bed for your dog. I’ve got you covered over here with doing the research for you. You can trust that I’m going to pick products and find information that actually work for your animal because it’s something I’d pick for mine. Your Playful Pets is here to provide tips, tricks and recommendations that will help you understand what makes your pets more happy and how to train them to be more obedient. Understanding is the first step towards finding solutions after all. As Your Playful Pets came together, we realized there’s some information that’s just too good not to share, even if your dog still likes to sleep on your bed or sofa. That’s why we chose to include a dash of variety. At Your Playful Pets, you can find how to train your dog to not sleep on your bed, and love his new comfy sleeping area. There are simple, easy tricks you can teach your dog without going to a dog trainer. If you are busy, like most people, we have information on how to keep your pets from not destroying your furniture or peeing inside while you’re out at work or out for the day. Not many dog and cat owners know about these toys that will keep your dog amused for hours while you’re not at home. We also love to make recommendations when we find products that we love and find really useful ourselves. Sometimes we make a commission from those recommendations, but we don’t recommend products we don’t believe in. We look for durable and comfortable pet gear we have used with our pets over the last 30 years. 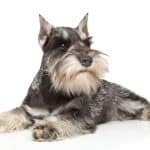 Your Playful Pets is all about how to make your life and your pets life easier – you can trust us to find the right products and guides for you and your favorite pet.